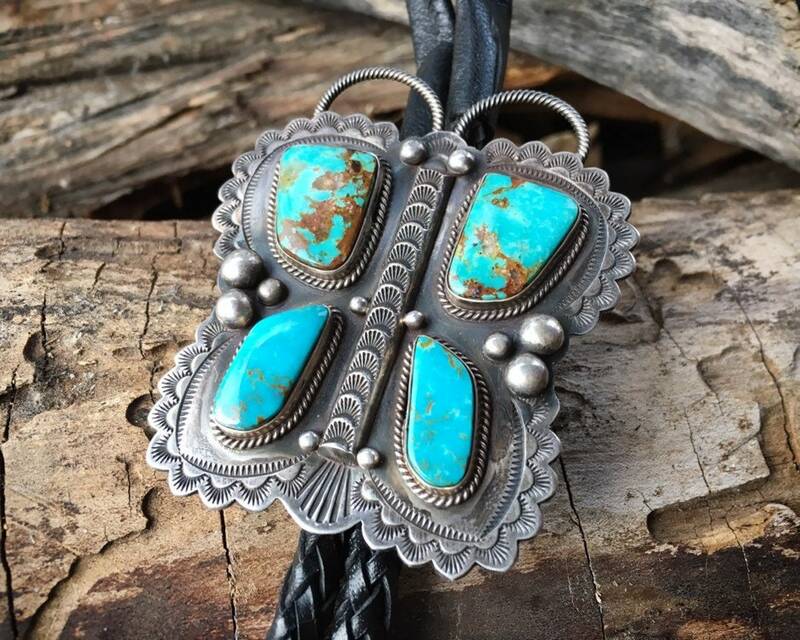 This bolo tie is as amazing as the photos, if not more so, with matrixed turquoise cabochons and beautiful stamp work in the sterling silver foundation. 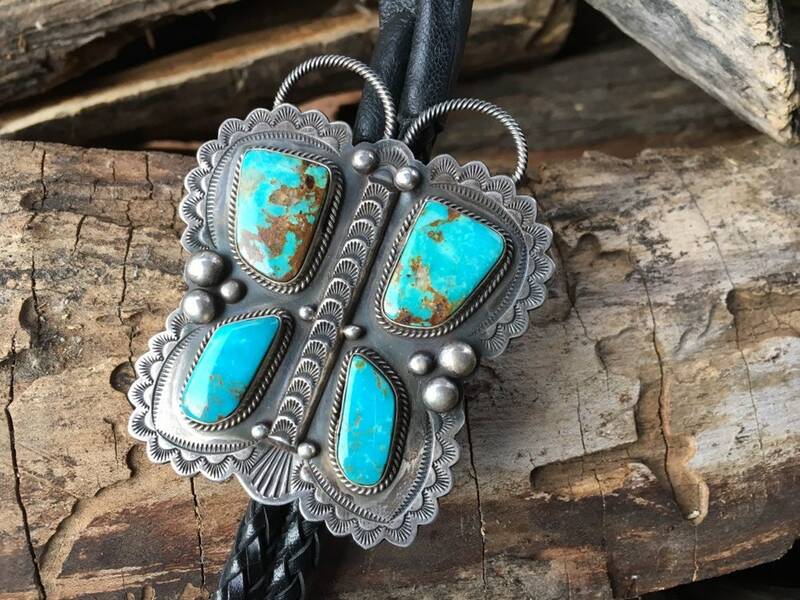 The artist used thin twist wire to represent the butterfly antenna and a much thicker twist wire to create a simple yet secure mechanism for the leather lariat, allowing the slider--the main part of the bolo--to move up and down yet stay in place. 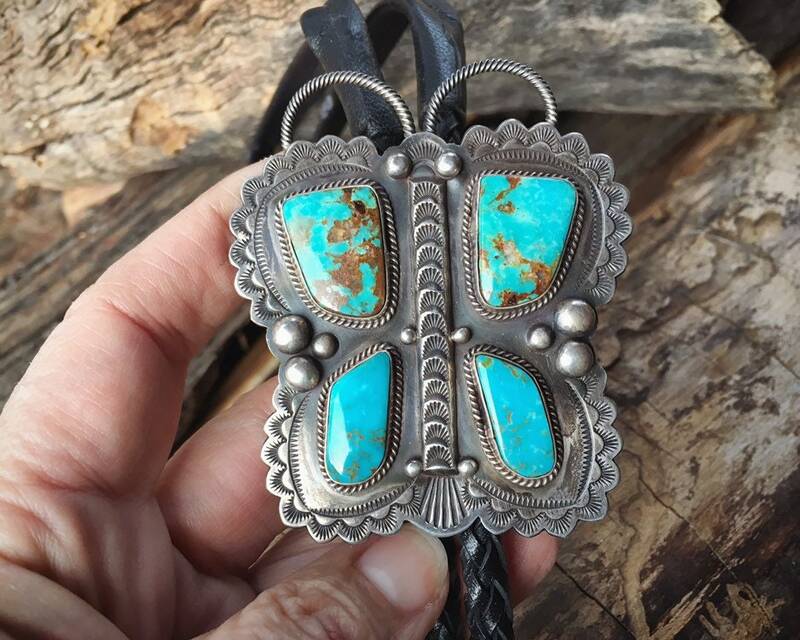 The hallmark is a small stirrup icon with the name RH Boyd, for Navajo silversmith Randy Boyd, who specializes in silver repousse and the butterfly form not only in bolos but also pins and pendants. 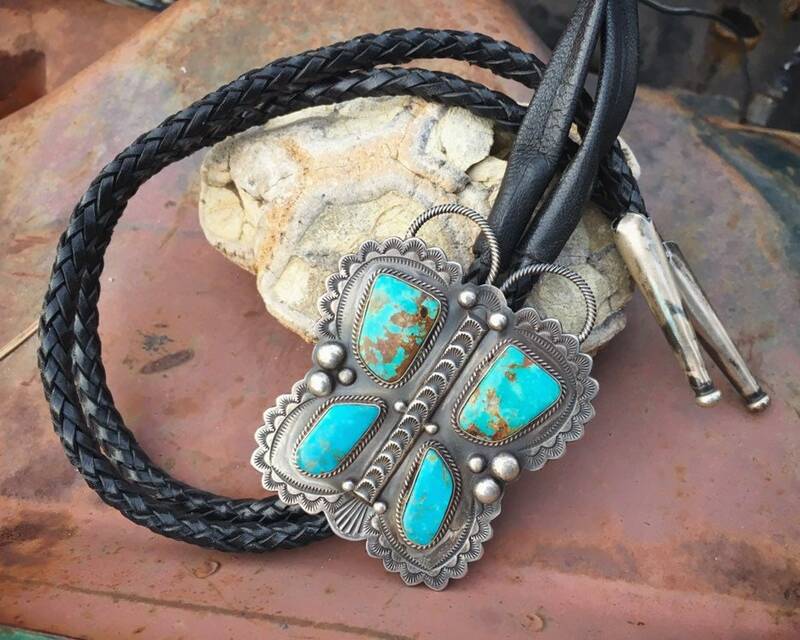 Boyd is only in his 40s but began making jewelry at the age of 16, studying with legendary Navajo artist Ray Tracey. 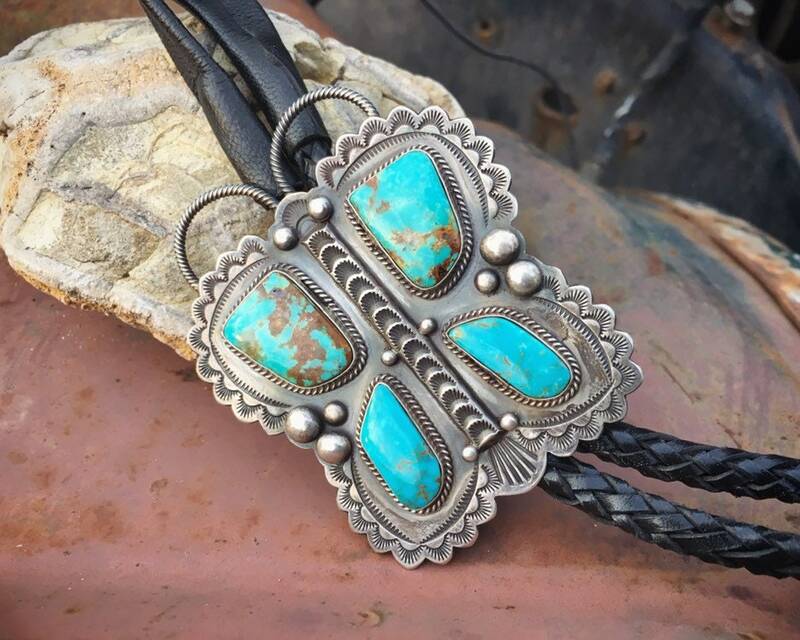 Boyd's work is known for being "old style" or "revival," meaning done with care, heavy silver, high grade turquoise, and the highest quality. 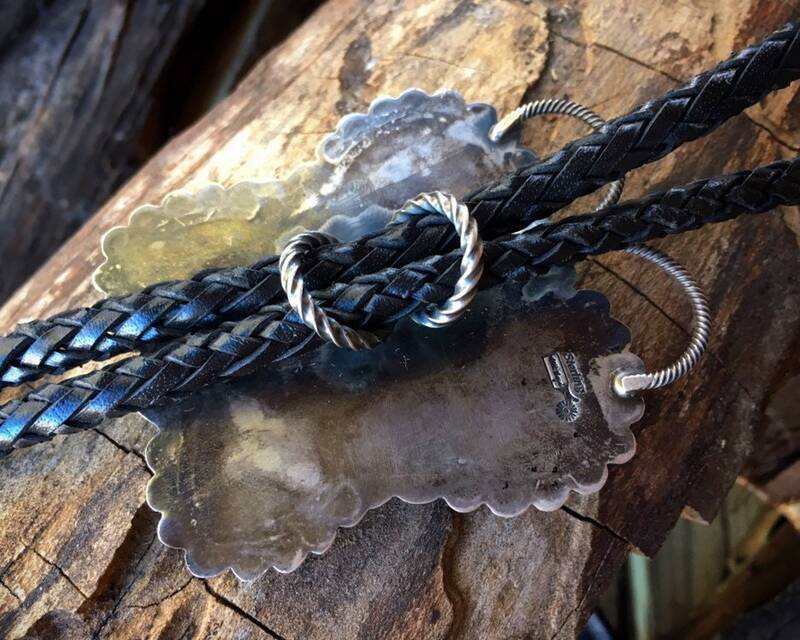 His pieces today range from $300 for a not-too-large pendant with coral to the thousands for his large, heavy cuffs. 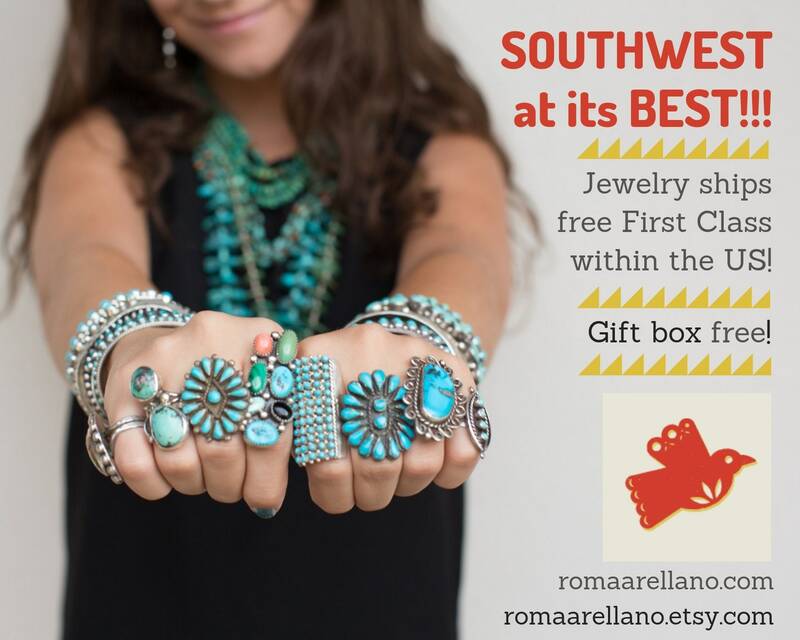 He is represented by several Santa Fe galleries. 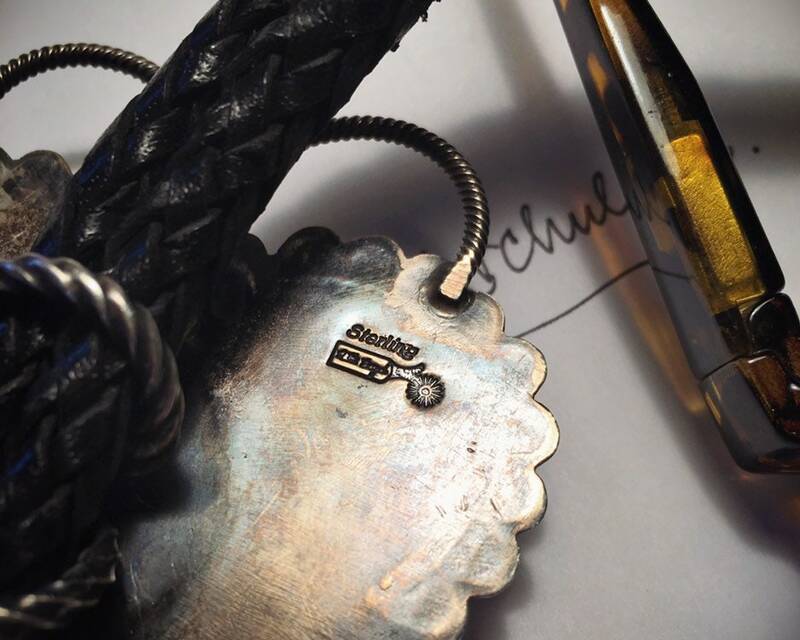 We estimate this piece to be circa 1990s. 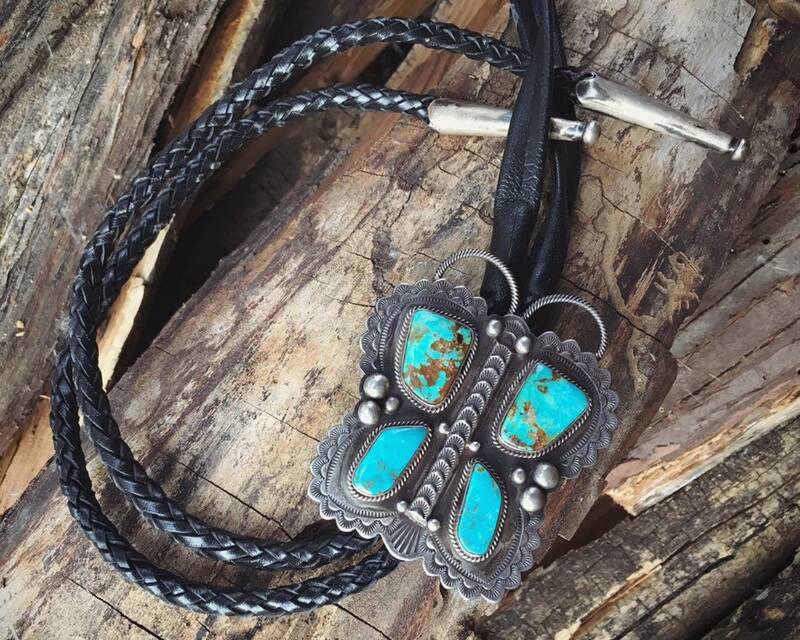 Butterflies are symbols of beauty, freedom, and lightness. The bolo slider (the main part) measures about 2-1/2" by 2-1/2", and closer to 3" when you include the length of the antenna. Weighs 77 grams. In good condition. 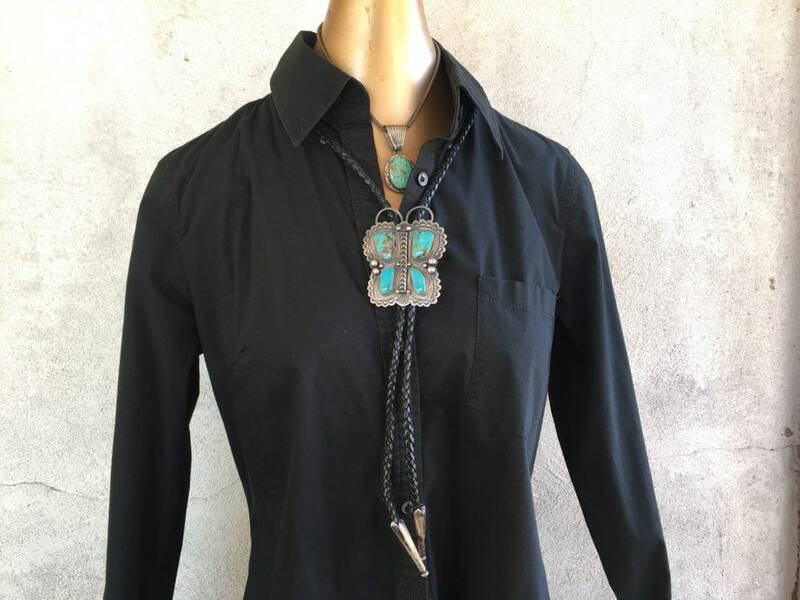 Fabulous bolo for the lover of beauty in your life.